Optical transport vendor ADVA Optical Networking reports that KOSC Telecom, France’s newest telecom service provider, has selected the ADVA FSP 3000 platform for of its 100G DWDM optical transport network. The new operator is using ADVA Optical Networking’s metro and long-haul technology to build a scalable national network providing 100Gb/s wholesale connectivity to service providers throughout France. Only months old, KOSC Telecom was created in December 2015 when a consortium acquired Completel, the former subsidiary of Numericable, which had to be separated from the parent company as a condition of its merger with SFR. The operator takes its name from the initials of its backers: Kapix, OVH, Styx and Cofip. OVH is a French web hosting provider, Cofip is the industrial holding company of the Karvelis family, Kapix and Styx are owned by telecom entrepreneurs Yann de Prince and Boris Clausse. Public bank Bpifrance has since invested €9 million in the company. KOSC Telecom does not plan to sell services directly to businesses, but will provide wholesale offers to other telecom operators in competition with Orange and SFR. The new wholesale provider plans to launch its highly competitive, super-fast broadband services before the end of 2016. The foundation of the wholesale offer will be an optical fibre infrastructure connecting 180 cities and covers all regions of France. With metro capabilities in major French cities, such as Paris and Marseille, to mid-sized cities, including Annecy and La Rochelle, the national network stretches across 20,000km. ‘We’re bringing a new level of flexibility and efficiency to the wholesale connectivity market. That’s why it’s essential to have a technology partner we can trust. 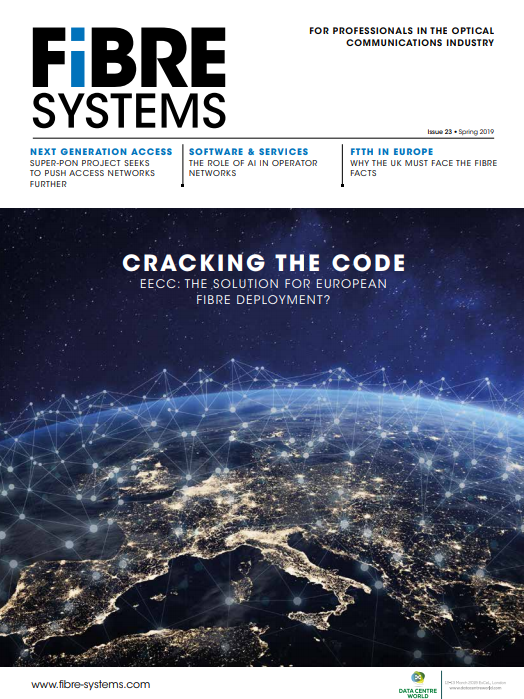 ADVA Optical Networking’s team has supported and worked with us at every stage to create our ideal solution,’ said Antoine Fournier, CEO, KOSC Telecom. ADVA Optical Networking’s modular DWDM products provide flexibility and cost-efficiency in a high-density design that guarantees power efficiency and the smallest footprint. What’s more, the ADVA FSP 3000’s scalable modular architecture ensures that KOSC Telecom’s new network is future-proofed against further growth in demand. ‘KOSC Telecom’s new transport system features a seamless combination of our long-haul technology and our highly versatile metro solution. By teaming up these technologies we’ve enabled KOSC Telecom to deliver 100Gbit/s capacity across its entire national network,’ said Fabrice Jean, VP, North and Southwest Europe sales for ADVA.